Welcome to our online store! Take your time to browse through our unique collection of decorated cakes for all occasions, make your choice, personalise and then just click and collect! 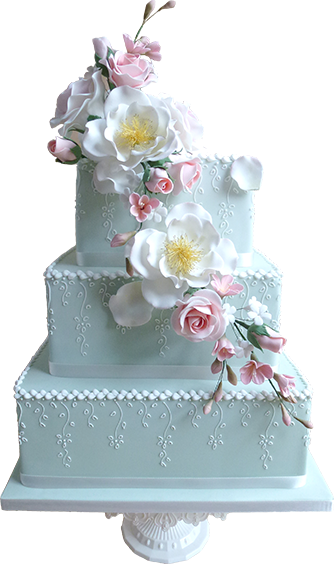 Celebration Cakes, Wedding Cakes, Short Notice Cakes, etc. Pop into our shop for a chat and cake tasting! Karen has been making cakes since 1987, she is a professionally trained cake decorator and now is also a writer for magazines. Based in Bishop’s Stortford, Hertfordshire. Our shop is open 5 days a week for collections and we would love to see you! We don’t just offer cakes from our catalogue but will gladly take commissions for bespoke cakes.